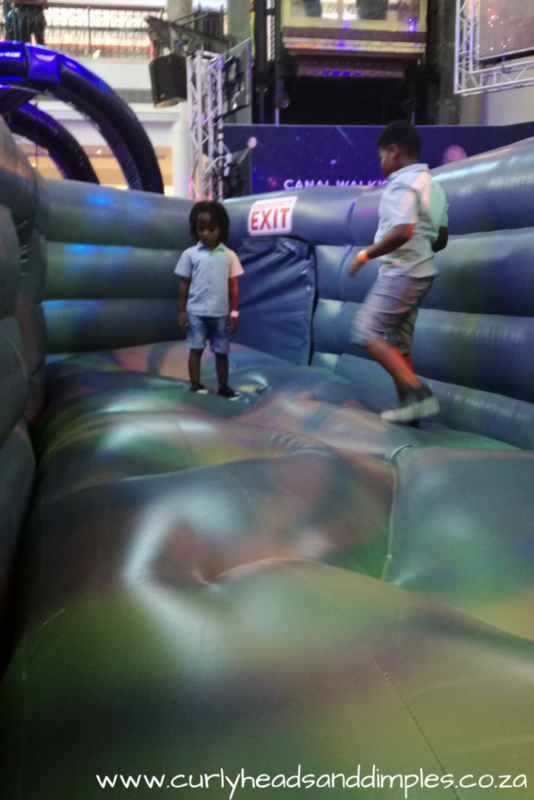 If at anytime between 7 December and 14 January you feel bored at home or you’re looking for something to do with the kids, Canal Walk is the place to be. 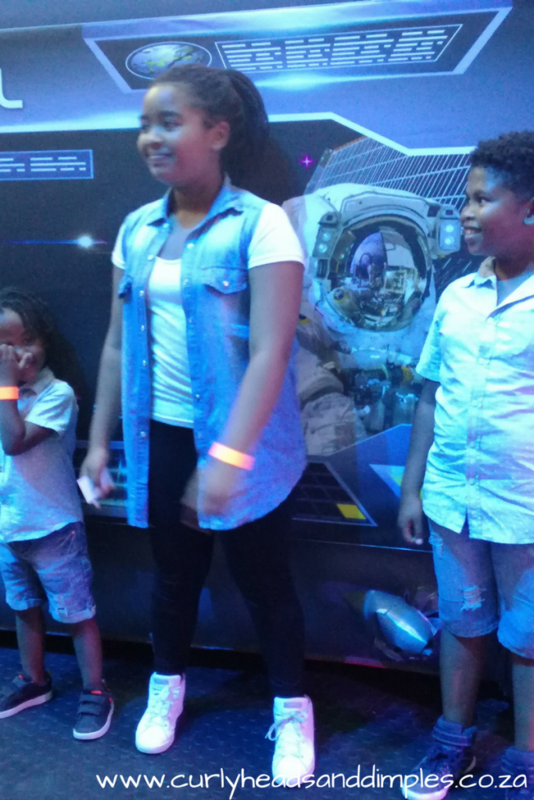 Last week we were invite to the VIP Launch of the Space Station at Canal Walk for an evening of great family fun. 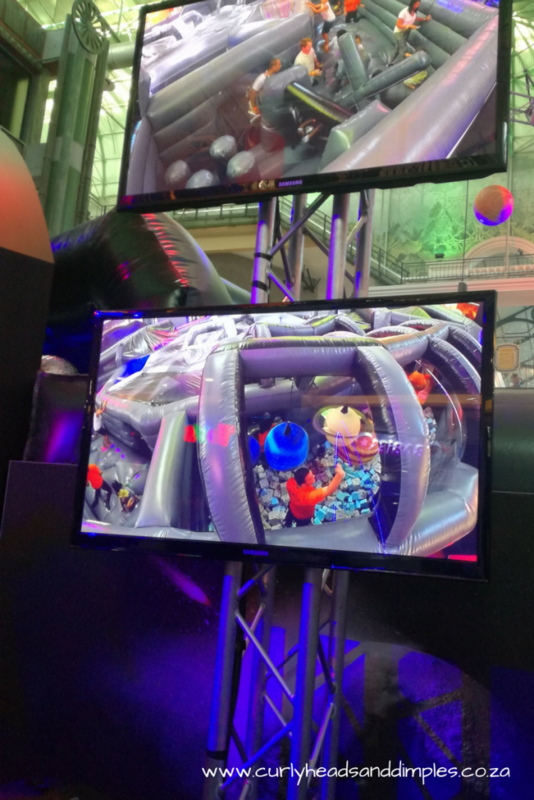 The Space Station includes a huge inflatable Space Maze, where space the children of all ages can explore different zones. Jody’s spent most of his time on the obstacle course while I was watching him om the screens from the outside of the maze sipping on some iced coffee. These screens are places all over and you can see your child where ever he/she is at that very moment. 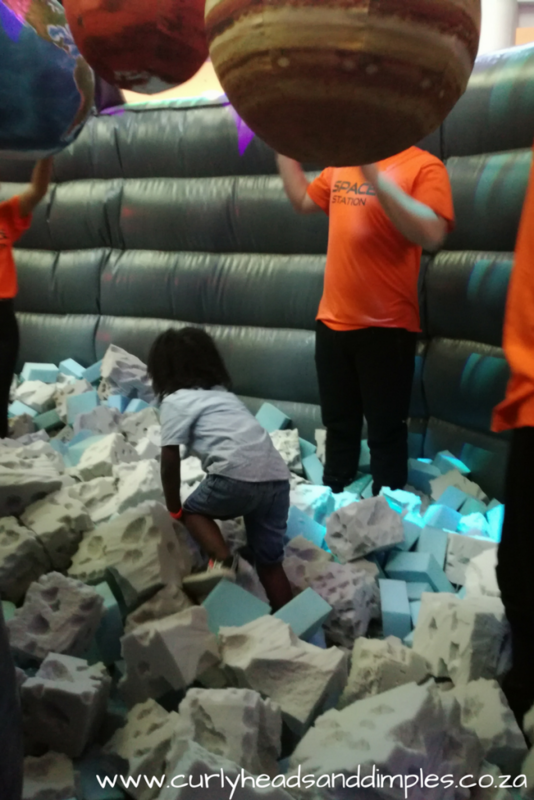 Each section are supervised by trained staff so you don’t have to worry about the safety of your child in any way. 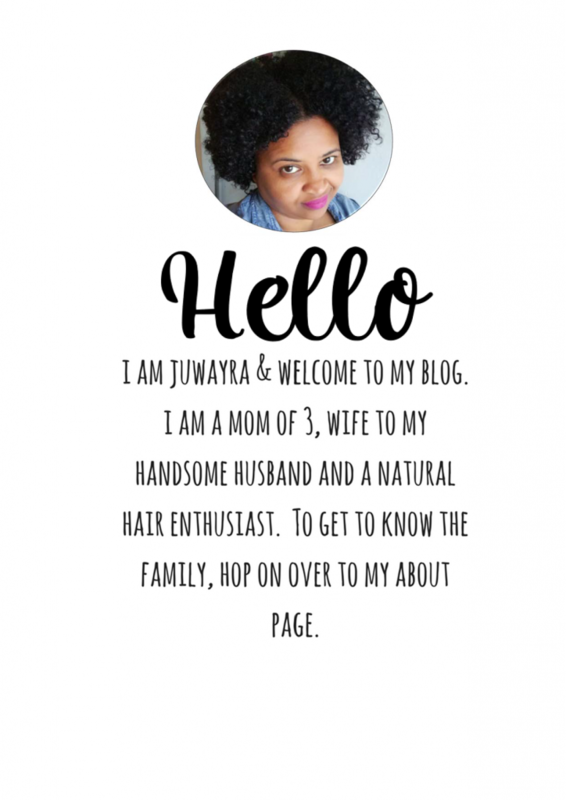 At the bottom of “the black hole” – a 4 meter slide that you have to crawl through, there will be a friendly lady meeting your little one, taking a snap of them, at the other end. All snaps can be collected on exit. 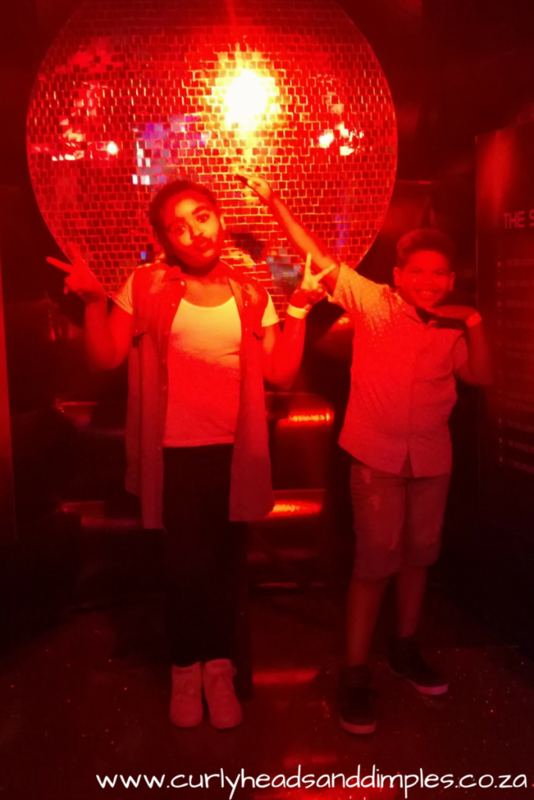 Jaymee was very keen on learning all about the solar system and Azaria made her way to the pop-up planetarium where she saw really cool stuff (in her words). 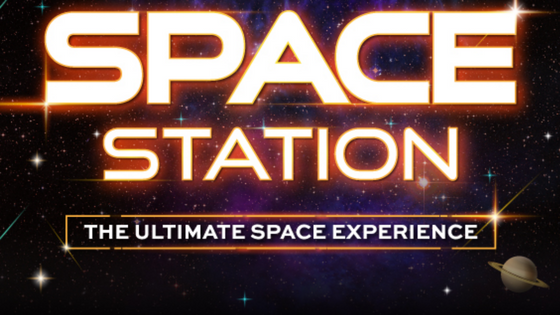 The Space Station will be open from 10am – 9pm each day and tickets starting from R40, can be purchased through computicket.